Comfort food, but simplified. One Cornish hen, cut in half, patted dry. Season with salt, pepper, and Italian seasoning. Use very little olive oil and brush both sides. Lay them in an oven safe dish. Bake at 350 degrees for 35-45 minutes rated until done. You don’t have to turn them or baste. Just don’t over cook them as they will become dry. My plate with a spoon full of cauliflower rice. These are indulgent for me as it seems as though I am eating a lot of chicken. I couldn’t even eat all of this piece. Saturdays are football days, and even with my weight loss surgery I still like to have not so great for me food. 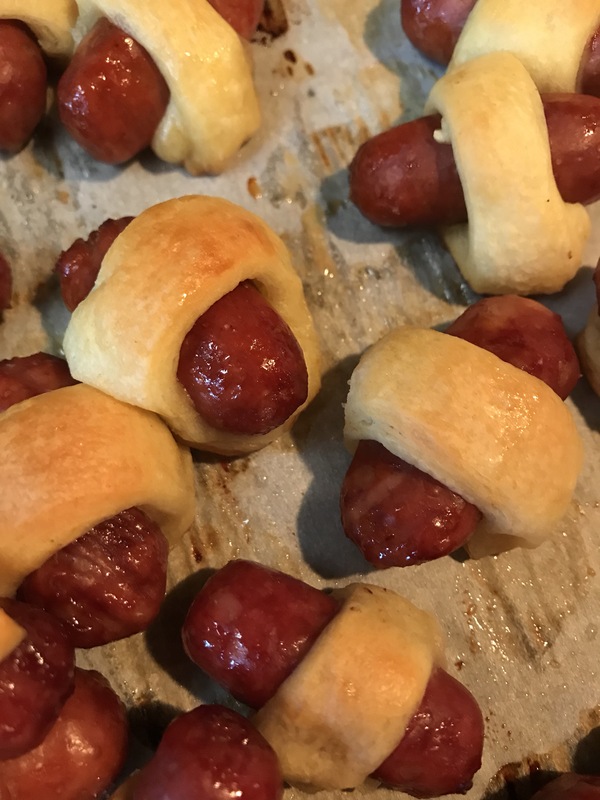 Pigs in a Blanket are yummy, little snack bites that are really easy to make. 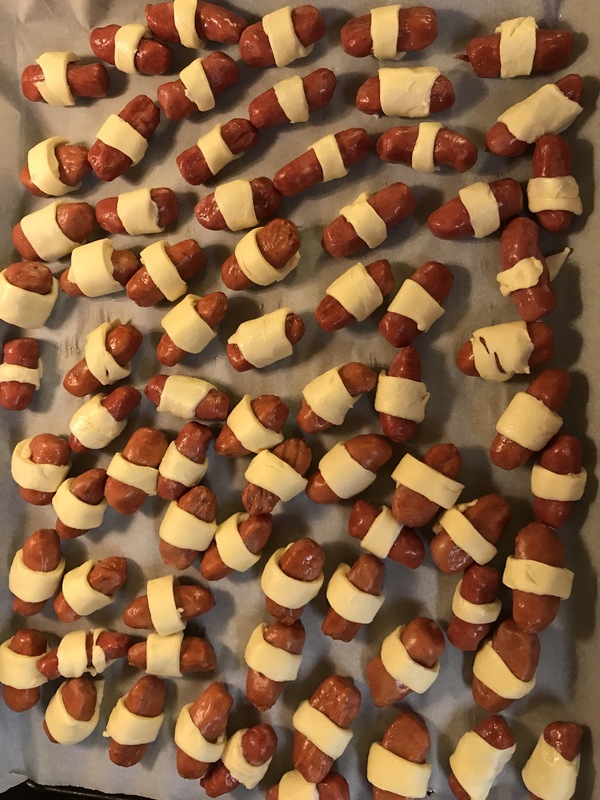 One container of crescent rolls, and a package of lil’ smokies. 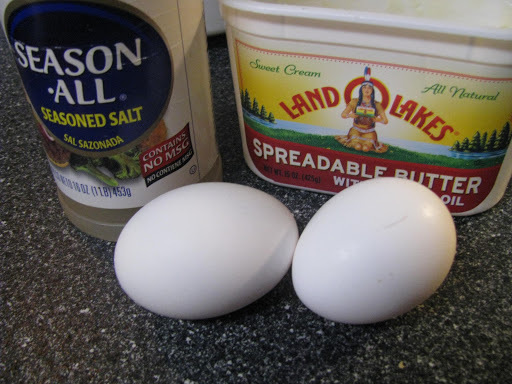 Roll out the dough, and press the seams together, then cut into smaller strips. 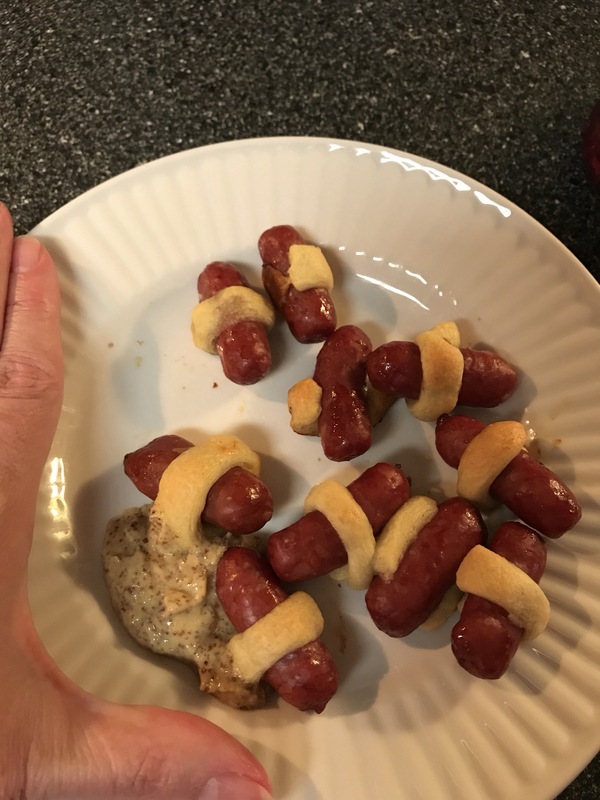 Place the sausage in the middle and roll. Bake at 400 degrees for about 20-25 minutes or until done. My plate with some of the ones with not a lot of bread on them. Had to have them with Dijon mustard. David loves his with Ketchup. Satisfied my craving, and on the cool day, something warm. What are your go to snacks for Fall? Everyone has a comfort food. Many of us have several comfort foods. Leftover noodles is one of mine, but they have to be fried. I know not the healthiest, but it is something my Mom always did. 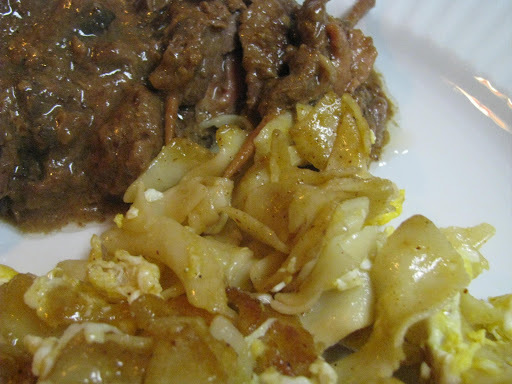 Leftover wide egg noodles (that were served with Rouladen). 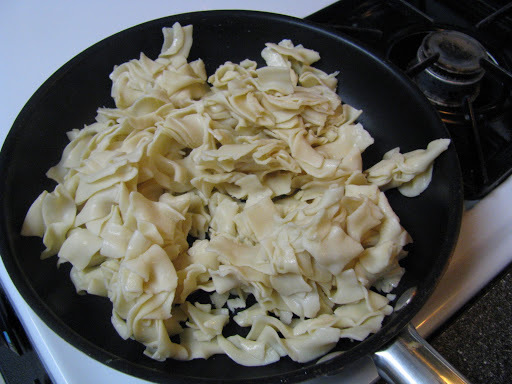 Place the noodles in a hot pan, add some butter and season salt. And cook, leave them alone and hear the sizzle. 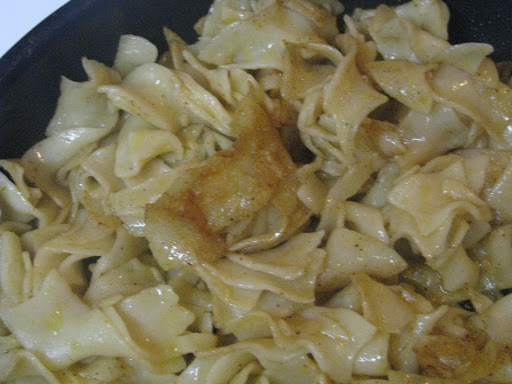 After about 8 to 10 minutes, turn over the noodles, browning or crisping the other side. 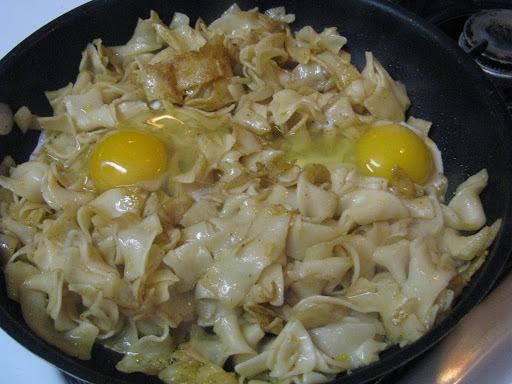 Stir quickly to coat the noodles with the eggs. Cook until the egg is done. I served this with some leftover Rouladen. 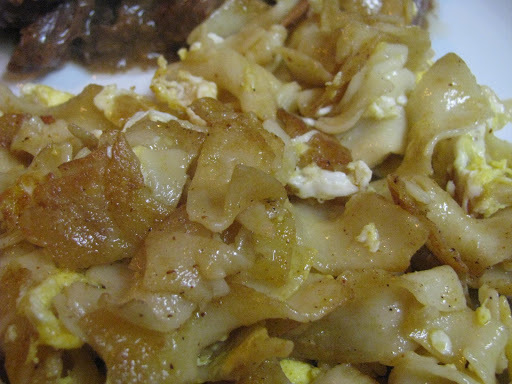 But sometimes just fried noodles are perfect.